Happy 2018! As Deb Wolff pointed out Friday night, how wonderful that we as Jews get FIVE new years to celebrate (two of them in January!). I must admit, I am still feeling energized from our Shabbat services this weekend. Many people braved the frigid temps to join us on Friday night for reflection on the old year, the past year and Shabbat. We sang a few new melodies from Nava Tehilla (a renewal community in Jerusalem) and the Adamah singers (a Jewish farming movement): a niggun, Asher lo haYam, Arbai’im shanah and Olam Chesed Yibaneh. These are great new tunes; I highly recommend checking out the rest of these albums and their other albums. On Shabbat morning, our conversation was inspired by the biblical scholar Nechama Leibowitz’s commentary on Parshat Veyechi, the last parsha of the book of Genesis. These teachings are a perfect kavannah (intention) to take into a new calendar year. Also, a number of wonderful ideas for our community came out of this conversation and I wanted to make sure those who were not present could take part in the conversation as well. When we read chapter 50:15, it says ויראו את אחי יוסף כי מת אביהם, When Joseph’s brothers saw that their father had died…. But, the first 15 verses of the chapter tell the tale of how Jacob died, surrounded by his sons. It describes the 40-day embalming process, the 70-day mourning period for Jacob in Mitzrayim (Egypt), the entourage that journeyed up to Cana’an to bury him in the cave of Machpela, which included the children of Israel. The seven days of sitting shiva and then the journey back to Mitzrayim. THEN, in verse 15 it says “When Joseph’s brothers saw their father had died….” How could they possibly only now have seen that their father had died? Impossible! So what was it then that they saw? Rashi brings us a midrashic view based on Bereshit Rabbah that they saw now that their father, “the focal point of their family interest” was dead, that everyone went back to their own business and Joseph spent less time with his them. This drove their fear that perhaps “Joseph will hate us and will return to us all the evil we did to him” (ibid). Yet, as Paul Stolpen pointed out on Shabbat morning, there is no inkling of anger present in our text and this seems to be pure speculation. So, we turn to another midrash. In verse 14, we see that Joseph and his brothers are walking together back from Cana’an to Mitzrayim. Midrash Mishnat R. Eliezer teaches us that Joseph’s brothers saw Joseph stop and spend a moment looking down into the pit into which they had cast him many lifetimes ago when they were younger. This put the fear in their hearts that Joseph would finally take revenge on them. But, Joseph is a tzaddik and a higher spiritual being than to seek revenge. He thought to himself, “How many wonders has the Holy Blessed One done for me since saving me from this very pit!” But, of course, his brothers did not know this, so they thought upon their own guilty souls. From this, Liebowitz brings the commentary of Bachya ibn Pakuda, whose teachings in Duties of the Heart insist that a person at all times must remember the bounty and kindnesses of the Holy Blessed One. Many blindly ignore them (i.e., the kindnesses of G!d) out of their deep preoccupation with worldly pleasures and the material enjoyments and satisfactions they can derive therefrom. The more they achieve, the more they desire, the abundant benefits they have been granted receding in importance and the most bountiful gifts counting for little, till they imagine that only the good enjoyed by the other man is being withheld from them (Sha’ar Habechina). From here, our conversation started. What about people in the pits today? We contemplated the global suffering in the world and juxtaposed it with our lots. How do we help them get out or how to they get themselves out? We talked about access to resources and needing better education. Education, though, is a two-way street. In the face of suffering, we have to look head on in order to help in whatever ways we can. This is a part of gratitude. We have to first be aware of all of the many blessings that abound in our lives morning, noon and night and then acknowledge that not everyone has the same blessings. This is essentially realizing our privileges in this lifetime and in this world. And while it seems so overwhelming to try to tackle these giant problems head on, Pirke Avot reminds us that it’s not on us as individuals or even as a THZ community to eradicate the problem. But, we must be a part of the solution. As Jews, we know the value of education. It is central to our tradition. Something that maintains injustice in our world is access to education and learning support. As Deb Wolff pointed out, there are plenty of people with educations who are still struggling. Or there are many children in good schools, who need more help, but their parents aren’t home to help because they’re working two jobs to keep food on the table and the rent paid. Life is complex. So, in the spirit of “reaching down (to lift others up),” let us commit to educating ourselves about the complexities of difficult situations and never accept the easy answer, or squarely place blame. We can do this at THZ by educating ourselves and creating opportunities for deeper learning about social issues that are relevant to our times. They are Jewish issues about which our holy teachings have much to say. I recently watched the movie “Food Inc.” and I am now personally grappling with eating kosher meat when I know the animals are abused and the workers are mistreated in the same way as regular meat. We cannot make spiritual choices in a bubble and have to take in varied sources of information to really understand. In a holy community, it is our job to be a light to the world by modeling educated and respectful discourse and celebrating varied opinions. 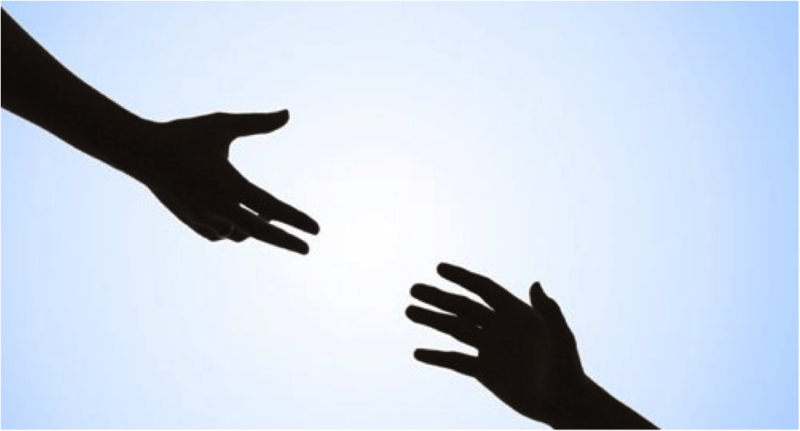 In the spirit of “reaching up (to grab a hand for a lift up and out), it would be righteous for us to welcome students into our building after school for tutoring and a meal. My dear friend and colleague Rabbi Marcy Rosenbaum has been doing this in her synagogue (read the newspaper article here) and while we wouldn’t have to do it on the level that they do (maybe 10 or 15 as opposed to 42!) it would be an opportunity to live our Jewish value of the importance of education, strengthen THZ’s connection to the local community and have a real impact on people’s lives: the children, their families and those they encounter going forward as they grow. Mitzvot ripple. So, if you’d like to be a part of thinking about issues that might be of importance to our community or you would like to think through how we might use our building in service of educating our greater community, please be in touch. Have a blessed week, and I look forward to our journey through Sefer Shemot together!